Since our first concert for young people in 1941, the North Carolina Symphony has been committed to educating and inspiring the next generation of musicians and music lovers. Throughout the year, we work hand-in-hand with outstanding music educators who help carry out the Symphony’s programs in their schools and work every day to build their students’ musical skills and appreciation. The North Carolina Symphony’s annual Music Educator Awards recognize outstanding teachers who make a lasting difference in the lives of students of all abilities and backgrounds; serve the community in an exemplary manner as a role model in music education; inspire students to reach high musical standards; and instill a love for music in children. Honorees receive monetary awards that are generously supported through an anonymous annual gift. Nominations for the 2019 Music Educator Awards are now open. The deadline for nominations and supporting recommendations is April 26. The Maxine Swalin Award for Outstanding Music Educator is named for Maxine Swalin who—together with her husband Dr. Benjamin Swalin, NCS music director from 1939-1972—raised funds to establish the Symphony’s children’s concert division in 1945. Set in motion by Ms. Swalin, the Symphony’s music education program is now the most extensive of any symphony orchestra, engaging 52,000 fourth and fifth graders each year though free Education Concerts and offering opportunities at every grade level, preschool through college. Veronica Allen is the orchestra director at Walter M. Williams High School in Burlington, N.C., a position she has held since graduating from college in 2011. During her first four years on the Williams faculty, she also taught Spanish classes. She currently serves as Western Region Auditions Chair and Western Region Orchestra Event Co-Chair for the Orchestra Section of the North Carolina Music Educators Association. She is a member of the National Association for Music Education and the North Carolina Music Educators Association. Outside of school, she plays violin in the Elon University Orchestra and the Chapel Hill Philharmonia and co-chairs the Chapel Hill Philharmonia’s annual Young Artist Concerto Competition. Under Ms. Allen’s direction, the Williams High School Orchestra has become a visible part of the Burlington community, performing at festivals, retirement communities, and other local venues, as well as giving regular school concerts. In 2015, she formed the Williams High School Chamber Orchestra, an advanced, auditioned ensemble that rehearses daily during the school year. In 2017, she commissioned a string orchestra piece entitled Burlington Muses, by composer Dan Locklair, to celebrate the 125th anniversary of the founding of Burlington. The Williams Orchestra premiered the piece at its concert in May 2018. 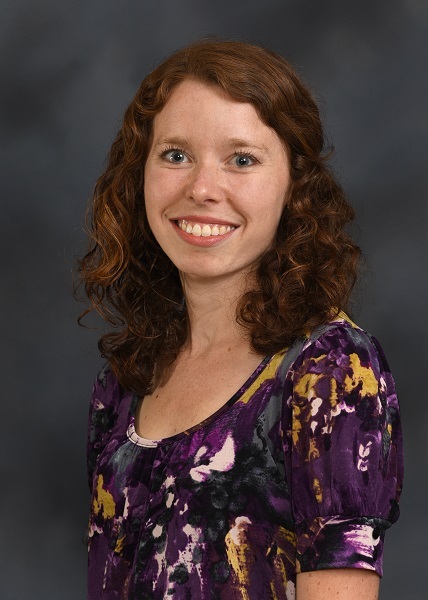 Ms. Allen graduated from Williams High School in 2006 and from the University of North Carolina at Greensboro in 2011, earning a bachelor’s degree in music education and a bachelor’s degree in Spanish. During the 2009-2010 academic year, she was an exchange student at the University of Guanajuato in Mexico. She is currently pursuing a master’s degree in Spanish from the University of North Carolina at Greensboro. The Jackson Parkhurst Award for Special Achievement is named for the Symphony’s former director of education in recognition of his longstanding service and commitment to young people in the state of North Carolina. Eddie Adams, a native of Snow Hill, NC, is a graduate of Appalachian State University, where he obtained degrees in music education and music performance. His primary teachers were Dr. Stephen Hopkins (conducting) and Dr. Joseph Amaya (voice). He completed a master’s degree in choral conducting at East Carolina University under the mentorship of Dr. Daniel Bara (conducting) and Dr. Louise Toppin (voice). Mr. Adams is currently in his tenth year of teaching chorus at Millbrook High School in Raleigh. Millbrook has provided a wonderfully supportive and inclusive environment for Mr. Adams as well as the choral department. In 2012, he was selected as Millbrook’s Teacher of the Year. In November of that same year, Millbrook’s advanced mixed choir, The Madrigals, performed at the North Carolina Music Educator’s Conference held in Winston-Salem, N.C. In addition to working at Millbrook, Mr. Adams is the director of music at St. Giles Presbyterian Church in Raleigh. 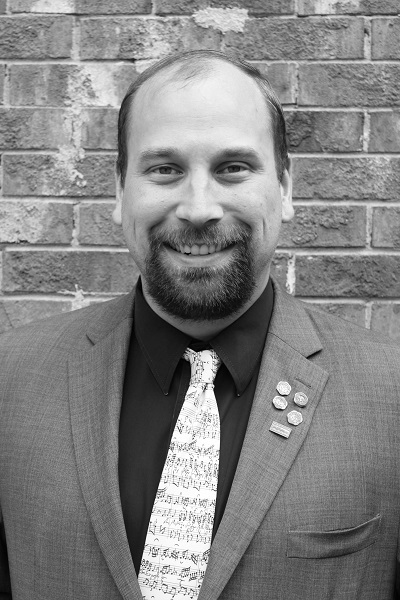 He currently serves as Chair of the High School Choral Section of the North Carolina Music Educators Association and is also a member of the American Choral Directors Association. During the summer, he serves as the high school facilitator for the North Carolina Summer Institute for the Choral Arts (NCSICA) located at Warren Wilson College in Asheville, N.C.
Lastly, he is deeply honored to be recognized by the North Carolina Symphony as this year’s recipient of the Jackson Parkhurst Award for Special Achievement. The North Carolina Symphony Musicians Award honors emerging music educators with fewer than 10 years of teaching experience. This award is named for the musicians of the North Carolina Symphony in appreciation of their contributions to the children and communities of North Carolina, and in recognition of the fact that each one of the musicians on our stage has been influenced by excellent music teachers. Timothy Price, a native of Bridgewater, New Jersey, currently teaches music and drama at Newport Elementary School in Newport, N.C. Prior to entering the North Carolina Public School System in January, 2016, he mentored for community organizations and taught private voice lessons. Since joining the faculty at Newport Elementary, Mr. Price has introduced instrumental recorder instruction for all third-grade students and reintroduced drama productions. He assisted in Carteret County’s Elementary All-Chorus and produces grade-level instrumental, vocal, and theatrical concerts for each grade. He also produces a drama production every year for students in grades three through five. As an outreach, he leads the school’s advanced choir for performances within the larger community. 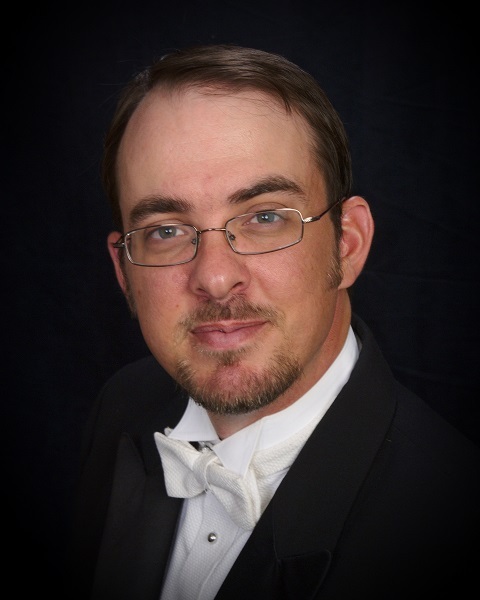 He is personally active with the Carteret Community Theatre and the New Bern Civic Theatre, and is often called on as a vocal soloist in Carteret County. He has performed with, and for, the choir of St. Andrew’s Episcopal Church in Morehead City. Mr. Price prides himself on putting his students first and is deeply honored to accept this prestigious award.